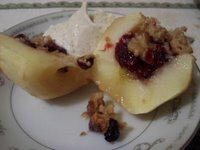 The combination of a baked Pink Lady apple stuffed with walnuts and dried cranberries and a cup of ginger tea reminds me of the fresh ginger cake from Crixa Cakes. 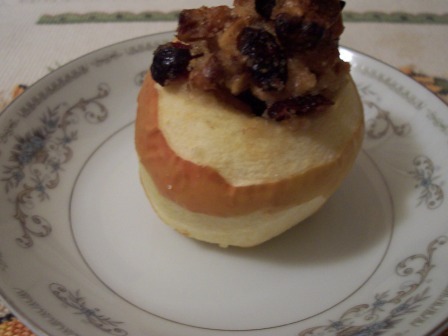 I prepared the apple based on a recipe by bakingsheet. The apple was served with vanilla bean ice cream. 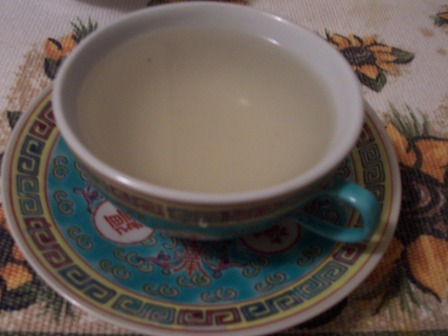 The ginger tea was brewed from a bag of Traditionals Organic Ginger Tea. The tea bag was steeped for several minutes but the color was very light and the taste was mild.